Digital tools are transforming the private healthcare market. Healthcare providers who have embraced this technology shift are moving towards a customer-centred model of care. Similarly, employers are now considering to a greater degree the needs of employees who are increasingly demanding healthcare choice and convenience. Working together, providers and employers can use technology to drive innovations which will help deliver better health outcomes and, ultimately, deliver return on investment. According to Cigna, only 33% of people in the UK are a healthy weight and 70% of people do not exercise at all. With such a significant portion of the UK population needing a steer in the right direction, there’s clearly an opportunity for employers to engage members of their workforce towards healthier lifestyle choices. A system of engagement is needed to help employees live longer, healthier lives. In the workplace, this system can be an integral part of an employer’s health and wellbeing strategy, which should be aimed at improving employees’ work performance and reducing sickness absence, and must employ tools to help encourage healthy lifestyle choices and support quick access to the appropriate care in the most convenient location. A few online tools aimed at employee health and wellbeing have existed for a while. Using Health Risk Assessments (HRAs), for example, can help employers evaluate the health risk profile of a workforce and provide a baseline against which to monitor improvements. Online health and wellbeing portals also provide employees access to a range of healthy lifestyle information. However, the rise of the on-demand economy has changed the way many people expect to interact and manage their health. Consumers have a growing appetite for convenience, speed and simplicity. With increasingly busy lives, people are relying more on personal smart phones or tablets to get things done. So, it’s no surprise that the number of online health and wellbeing apps being offered by healthcare providers has increased. These tools have been designed to help align the key employee health and wellbeing pillars – body, mind and workplace culture – within a benefits package, so as to create one overarching health and wellbeing strategy that’s also convenient and simple to use. Cigna is a health services provider who recognises the importance of delivering a customer-centric approach to employee health and wellbeing. Cigna’s Virtual Health® app delivers an end-to-end digital health experience for employers and their employees. The app’s Virtual Health Team provides a personalised coaching experience to users to proactively manage their health and wellbeing on the go. Key features of the app include a health risk assessment and symptom checker, virtual general practitioner (GP) appointments at times that suit, prescriptions delivered to the workplace or home for convenience, and seamless access to Cigna’s nursing team. Personal health data can be stored on the app and activity trackers synced to help monitor health improvement and progress. Apps such as the one offered by Cigna also provide employers with behaviour data such as usage metrics and health and wellbeing assessment results. 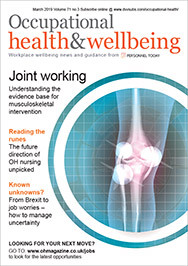 As engagement with, and utilisation of, such technology increases, reporting becomes more sophisticated and can be used to help shape employers’ health and wellbeing strategies. It’s this knowledge that helps employers and insurers deliver more value to employees, and realise business cost savings associated with lower employee absence rates and higher productivity. Having healthier employees also results in reduced employer health plan utilisation and medical costs. In a world where poor lifestyle choices are dramatically impacting healthcare costs, it’s more important than ever that employers have well designed digital tools to help engage employees with their health and access care easily when they need it. 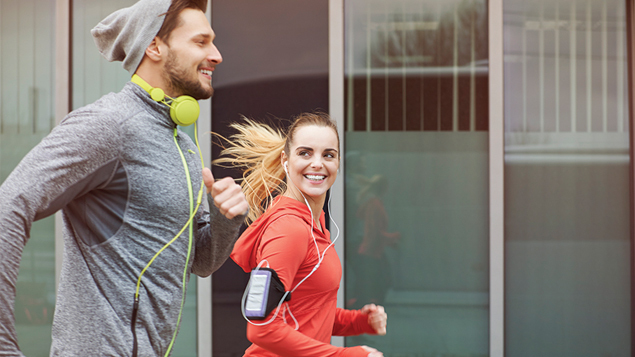 Health and wellbeing apps appeal to the convenience demands of the modern workforce, enhancing the consumers’ experience of care whilst also managing employer costs. Do you want to experience Cigna Virtual Health® for yourself? Visit www.cigna.co.uk/virtualhealth to learn more. Cigna UK HealthCare Benefits is a leading provider of health benefits and services in the UK. Our healthcare solutions support the whole health journey, and we are advocates of promoting and encouraging a healthier lifestyle to help prevent future ill health. Our award-winning health and wellbeing app, Cigna Virtual Health®, is a market first in integrated digital healthcare solutions in the UK, and we ranked top of the Which? private healthcare survey in September 2017. We focus on keeping customers fit and well, providing access to the right care at the right time when needed, and reducing healthcare plan utilisation and addressing rising costs for the employer. To learn more please visit www.cigna.co.uk or follow us on Twitter or LinkedIn.